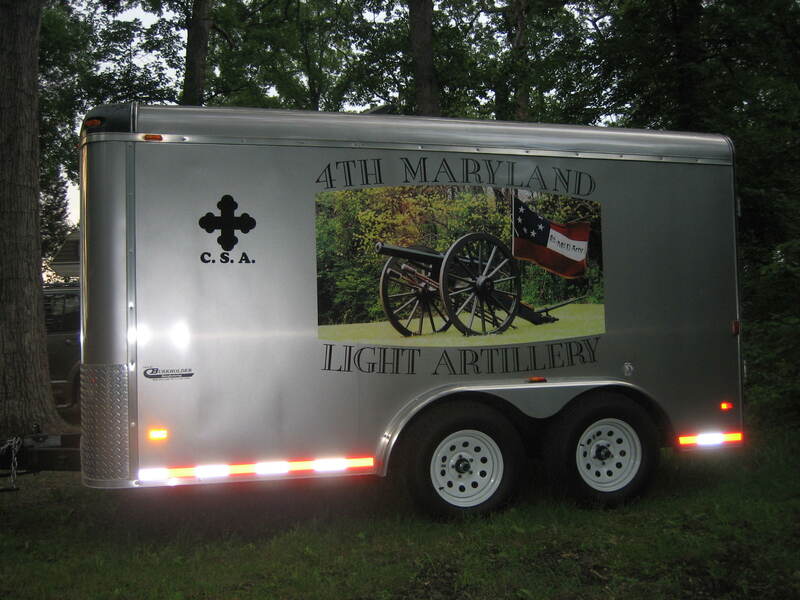 The 4th Maryland Artillery (CSA) was performing and camping at Pitzer’s Woods this weekend. 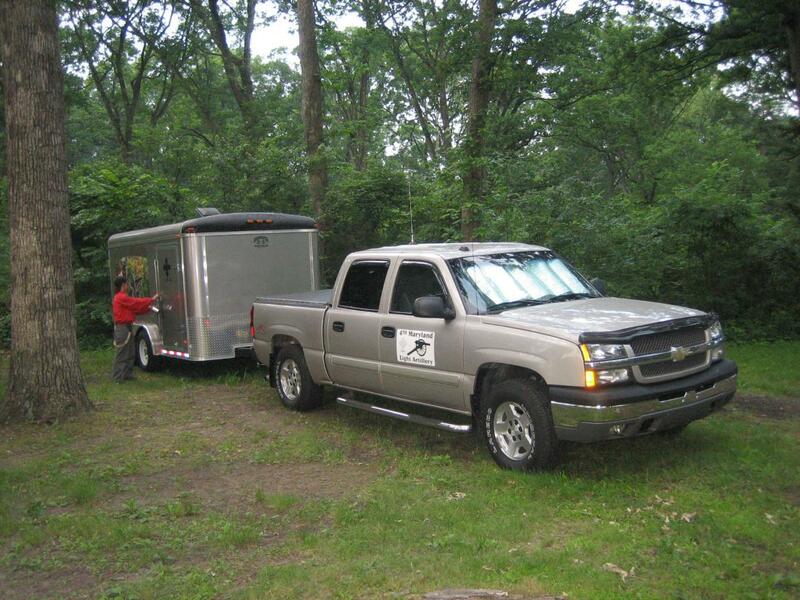 They are a well equipped unit, and this trailer carries much of that equipment. This view was taken from the northeast facing southwest at approximately 6:45 AM on Sunday, June 22, 2008. Gettysburg National Military Park Living History demonstrations included Confederate infantry and artillery at Pitzer’s Woods, Confederate infantry at Spangler’s Spring, Union infantry at the Pennsylvania Monument, and a hospital setup at General Meade’s Headquarters. 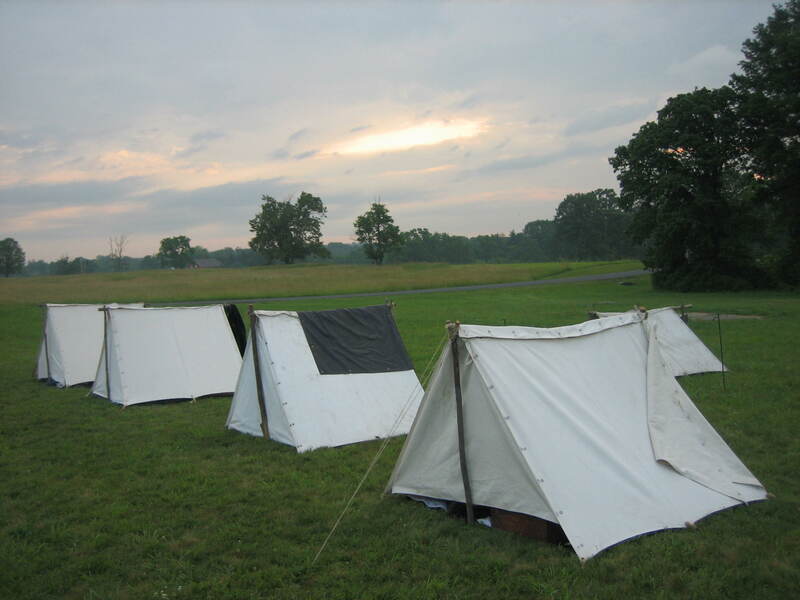 The Gettysburg Daily arrived as some of the living history personnel were getting up on Sunday morning. 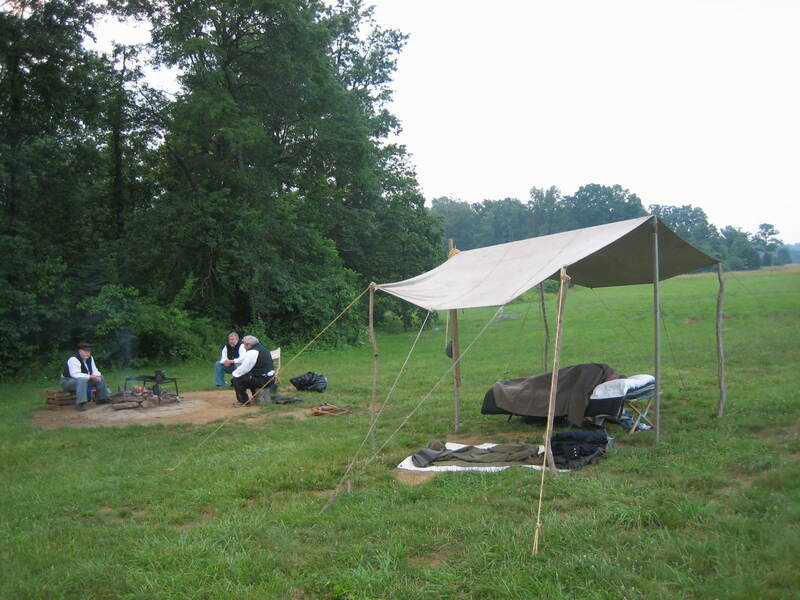 A reenactor emerges from the trailer on Sunday morning. This view was taken from the northeast facing southwest at approximately 6:45 AM on Sunday, June 22, 2008. 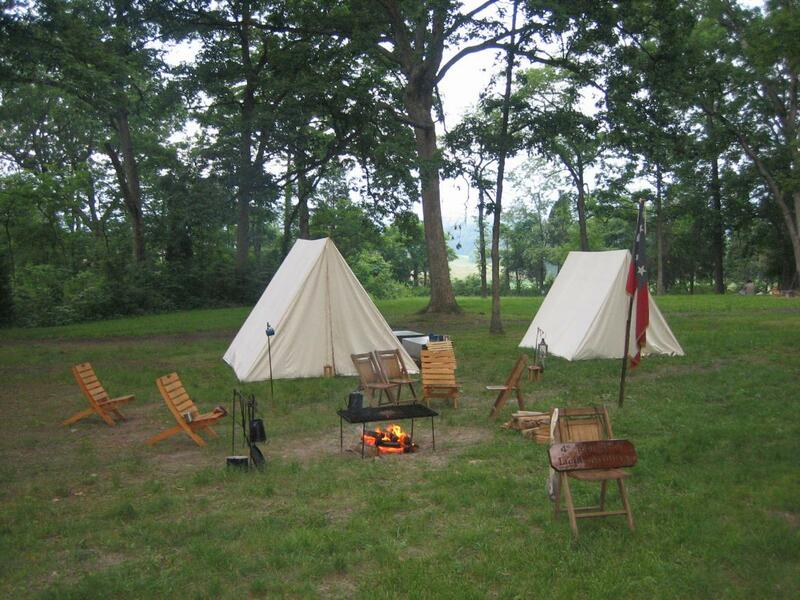 The coffee pot is on the fire, and it waits for some members of the unit to wake up. This view was taken from the east facing west at approximately 6:45 AM on Sunday, June 22, 2008. The 4th Maryland brought along their limber and cannon. 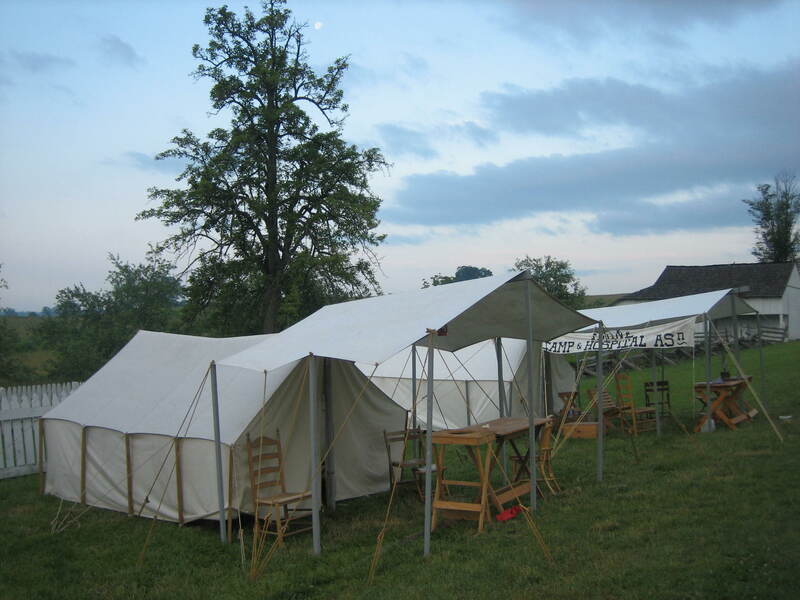 This view was taken from the northwest facing southeast at approximately 6:45 AM on Sunday, June 22, 2008. 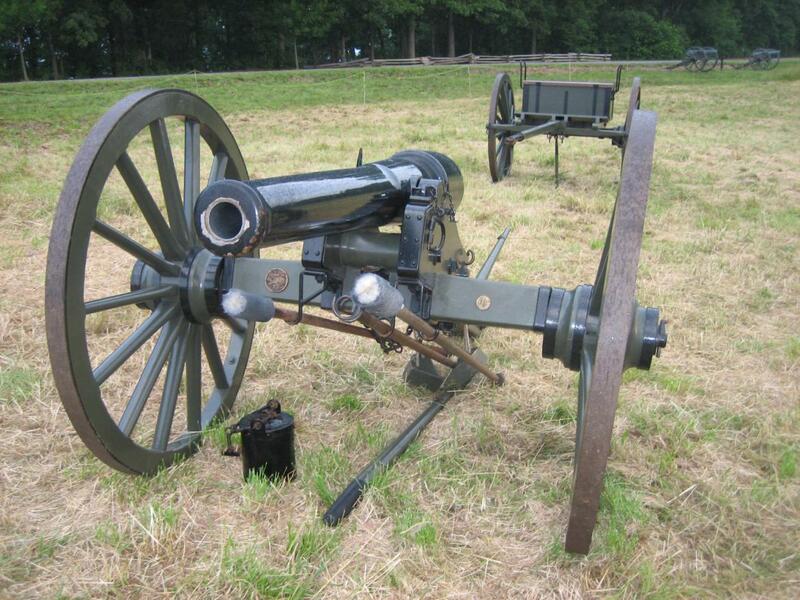 The cannon is a reproduction 10 pounder parrott made in Ohio. This view was taken from the southeast facing northwest at approximately 6:45 AM on Sunday, June 22, 2008. 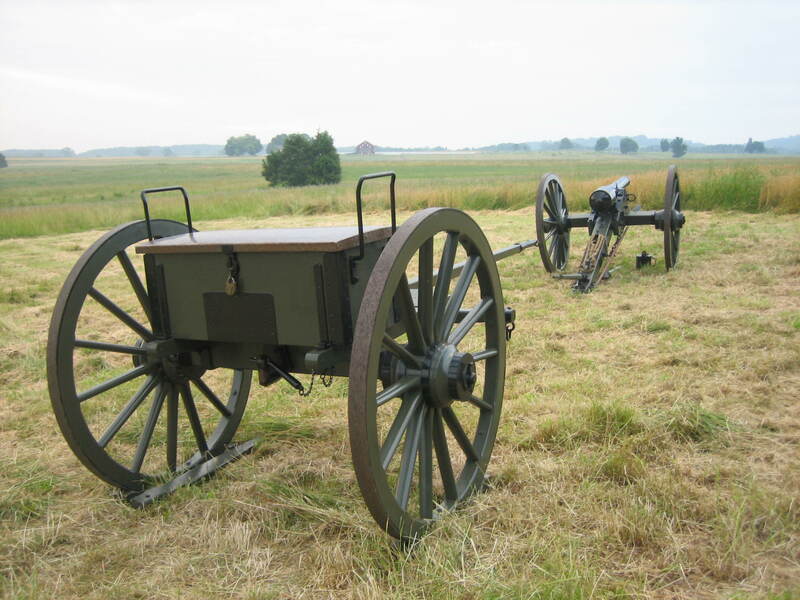 Company E of the 20th Maine Infantry Regiment was camped out on Cemetery Ridge, just east of the Pennsylvania Monument. This view was taken from the southwest facing northeast at approximately 6:45 AM on Sunday, June 22, 2008. Three members of the unit were up, but an officer is still asleep on his cot. This view was taken from the northwest facing southeast at approximately 6:45 AM on Sunday, June 22, 2008. 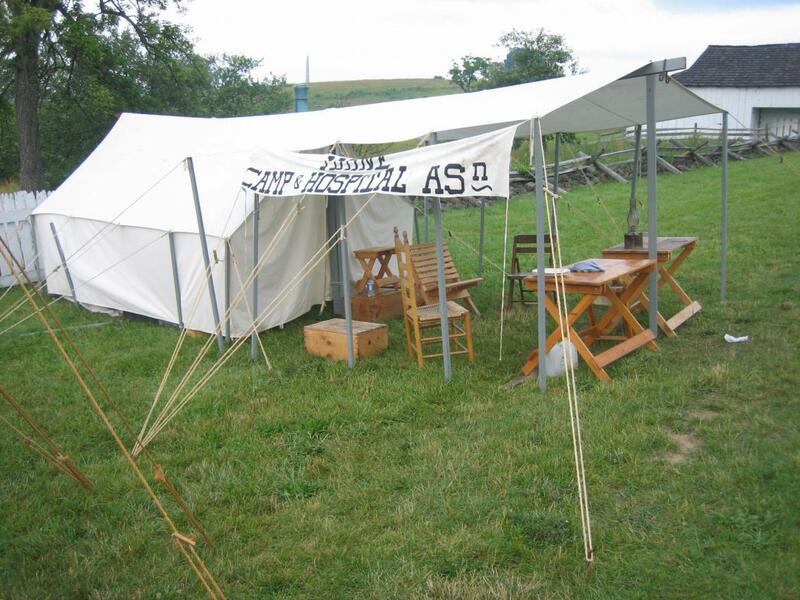 A hospital display was set up near the Leister House (Major-General Meade’s Headquarters). This view was taken from the northeast facing southwest at approximately 6:45 AM on Sunday, June 22, 2008. The sign reads “Maine Camp & Hospital Asn.” This view was taken from the northeast facing southwest at approximately 6:45 AM on Sunday, June 22, 2008.